May 6 Of Montreal w/ Painted Palms The Slowdown, 729 N. 14th St. 9 p.m., $25, onepercentproductions.com It’s hard to believe that Of Montreal is already on its 12th studio release. After 14 years together, an album per year (almost) is pretty impressive. It appears the Atlanta, Ga., natives are reveling in quite the career. Frontman Kevin Barnes and the seven other members of the collective specialize in psychedelic indie-pop with influences ranging from afro-beat to rock. While its latest release False Priest has a very Beatle-esque sound (think Sgt. 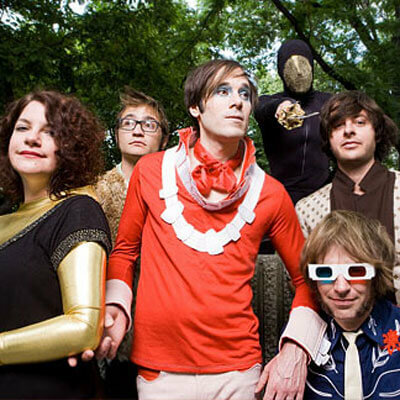 Pepper’s), it was earlier releases such as 2004’s Satanic Panic In The Attic and 2005’s Sunlandic Twins that marked Of Montreal’s evolution to a more electronic, synth-heavy sound. Never accuse Barnes of being a sell out though. Their music has appeared in television commercials, TV shows and movies, yet he says “pseudo-nihilistic punk rockers of the ’70s created an impossible code which no one can live by. The idea that anyone who attempts to do anything commercial is a sell out is completely out of touch with reality.” Sounds convincing.